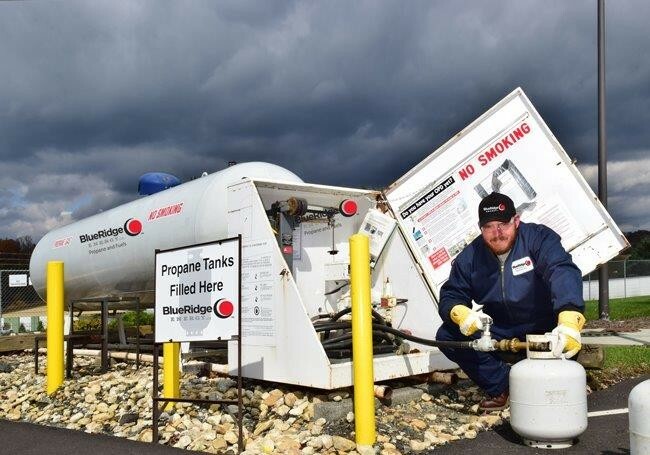 If you need a refill tank or to buy a new one, you will need to go to a propane exchange. Because they are generally stored outside in locked containers, you will first need to go inside to get a clerk to help you. They will need to unlock the door and then you tell them if you need a brand-new tank, or to just swap out your empty one for a full one. Be sure to transport the propane tank sitting upright at all times. And for added safety, never keep the tank in a hot car. Now you’re ready to enjoy the many advantages of propane.